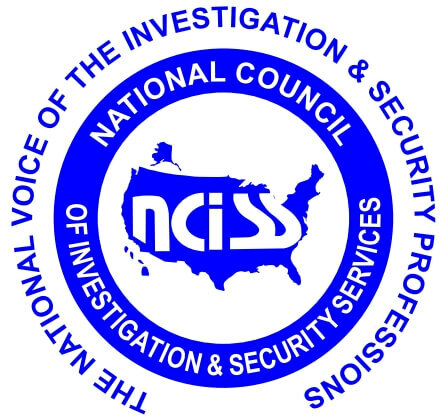 The National Counsel of Investigative and Security Services (NCISS) is currently preparing for their annual Hit the Hill event. This year, the even will be on Tuesday, April 8th, and the legislative chair and president of the organization is urging attendees to make their own appointments. Attendees are being asked to contact lawmakers, obtain contact information, place phone calls, or meet with staff in order to raise awareness about issues directly affecting investigators. Editor's Note: The below information was provided by Francie Koehler, NCISS Legislative Chair - Investigation in an email and is in her words. In December, 2013, Congress passed a budget deal which included limitations on public access to the Death Master File (DMF). The provision is expected to save $700 Million. While this provision is now the law, the Department of Commerce is responsible for promulgating regulations to allow a variety of legitimate uses. Commerce is scheduled to release an interim final rule by March 29, which will then be subject to public comment. On February 12, Chairman Rockefeller introduced S. 2025, the Data Broker Accountability and Transparency Act. Importantly, this bill contains a prohibition of "pretexting" by data brokers..
SEC. 3. PROHIBITION ON OBTAINING OR SOLICITATION TO OBTAIN PERSONAL INFORMATION BY FALSE PRETENSES. (a) In General.--It shall be unlawful for a data broker to obtain or attempt to obtain, or cause to be disclosed or attempt to cause to be disclosed to any person, personal information or any other information relating to any person by making a false, fictitious, or fraudulent statement or representation to any person, including by providing any document to any person, that the data broker knows or should know to be forged, counterfeit, lost, stolen, or fraudulently obtained, or contains a false, fictitious, or fraudulent statement or representation. (b) Solicitation.--It shall be unlawful for a data broker to request a person to obtain personal information, or any other information, relating to any other person if the data broker knows or should know that the person to whom the request is made will obtain or attempt to obtain that information in the manner described in subsection (a). NCISS Members must ensure that private investigators are not swept into the definition of data brokers, and should ask for a specific statutory exemption. S. 639, the Geolocational Privacy and Surveillance Act (Wyden) would require consent of the subject when using GPS technology for tracking individuals. Companion Legislation: HR 1312. Prohibits intentionally intercepting or disclosing geolocational information. Amends the US code to specify the circumstances in which a person may acquire geolocation information. Exceptions include: (1) information acquired by a provider of a covered service (electronic communication service, remote computing service, or geolocation information service) in the normal course of business; (2) federal officers, employees, or agents conducting foreign intelligence surveillance; (3) persons having given prior consent; (4) public information; (5) emergency information; (6) theft; and (7) a warrant. S.639 must be amended to include an exemption for PIs. The bills listed for both investigation and security vital to our busineses. It is incumbant for all of us to help ourselves, our colleagues, and our clients fight restrictive legislation. None of us can do it individually. The first line of defense is to attend Hit the Hill. If you cannot attend, please contact your representative in their home office. If you need assistance in what to say, please contact me and I will provide talking points or a proposed script that you can adapt for your meeting.